As a world-class cosmetic dental office, Smile Arkansas has an unrivaled ability to improve the appearance of your smile. However, our experienced children’s dentist in Little Rock, AR, never overlooks the importance of making sure your smile is healthy first. That’s why we offer a full menu of services for general dentistry to protect and restore your teeth and gums at any stage of life. 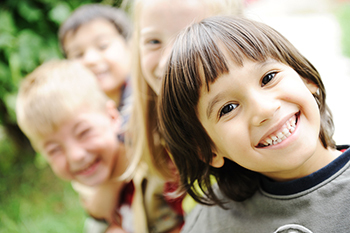 These days, children’s dentistry serves a more important role than ever before. Most people understand that proper dental care is critical to young people’s health. However, pediatric dentistry serves an even larger place in the lives of our young people, due to the increased social connection, pressure and challenges they face every day. In particular, social media can magnify a tremendous amount of social pressure, insecurity, and anxiety for kids about their appearance. As a result, what was once our focus on dental health has now expanded to encompass the benefits of confidence, appearance, and emotional security for children and teens. To contact our office to make an appointment for you or your child, call 501.821.4200 or click here. Is Your Child Ready for Orthodontics from Our Children’s Dentist in Little Rock, AR? In addition to providing routine dental care, Dr. Wyant will also advise young patients and their parents about the right timing for any necessary orthodontic work. We invite you to take advantage of our complimentary Dr. Wyant Invisalign Smile Analysis. This free evaluation includes an office tour of our state-of-the-art facilities, examination, digital x-rays, and a consultation with Dr. Wyant – a $300 value! Come see why patients from all over the Little Rock Metropolitan Area and beyond choose Dr. Wyant for their beautiful new smiles! Contact us today, by calling 501.821.4200 or by clicking here here. As one of the premier dental practices in Arkansas, our team at Smile Arkansas also provides children’s dentistry services to patients from Little Rock, Maumelle, Conway, Bryant, Benton, Cabot, Sherwood, Hot Springs, Hot Springs Village, Pine Bluff, Fayetteville, Bentonville, Rogers, Springdale, Russellville, El Dorado, and Camden, AR.